Our operations span several subsidiaries in Singapore, Indonesia and Philippines; associated companies in Malaysia, Brunei and Thailand; and a representative office in Vietnam. We are proud to be a total solutions provider for the region today. 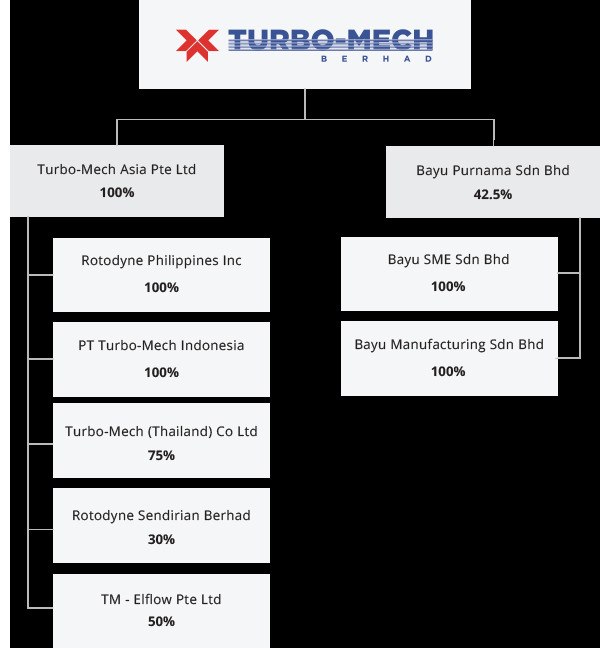 Read more about The Board of Directors of Turbo-Mech Berhad.